The mother cow is the foundation of a profitable cow-calf enterprise. Making sure she gets bred, delivers and weans a calf each year is critical for her to maintain her position in the herd. But she can’t do it alone. Progressive cattle producers like Kevin Jensen, Courtland, Kan., know the importance of taking care of those mama cows year-round. For Jensen, that care starts with a high-quality nutrition program. Keeping his cows on a good plane of nutrition, along with providing them with fresh water and a timely vaccination program are three of most important management practices Jensen encourages. He said they give all cows a modified-live vaccine at a time when the cows are open, but early enough so it won’t interfere with rebreeding. He also waits 60 days post-calving to start setting up any of his cows for rebreeding, allowing their reproductive tracts ample time to recover and repair. He said they have been feeding VitaFerm products for at least 10 to 15 years, and in that time, they have had minimal problems with a cow cleaning out after calving, typically only if she had calving difficulties. The cows that don’t have calving difficulties and clean out quickly will then become a part of Jensen’s extensive artificial insemination and embryo transfer program. The Jensens A.I. their first-calf heifers to breed in early February. Their first group of cows are bred to calve in late February, with the bulk of the cows calving in March. They do have some fall calves, making sure they have a variety of ages to fit all their customers’ needs. Due to this “customer comes first” mentality, Jensen puts a lot of merit in advancing his genetics through his E.T. program, calving about 100 E.T. calves per year. He uses purebred cows for his recipient cows, knowing that if they don’t take an egg, they have 40-percent chance of having their own purebred calf sired by the bull. He took his E.T. program a step further, four years ago, when he started using InVitro Fertilization. Since they started InVitro work, Jensen said their oocyte production has doubled, giving them the opportunity to sell frozen embryos, another marketing outlet for the operation, helping to increase their bottom line. He said he credits both the InVitro method and the mineral program, stating that some genetic lines are simply outstanding donors. However, whether they are getting A.I. bred, or receiving an egg, Jensen said all cows, with the exception of his elite donor cows, are treated the same, and all cows are on VitaFerm® Concept•Aid® about two-thirds of the year. The cows have access to VitaFerm Concept•Aid Protein Tubs in the winter when they are on stalks. During the spring and fall, they are fed VitaFerm Concept•Aid 5/S. Only during the late summer are they put on a lower-quality mineral, according to Jensen. “Our cows are getting along fine as far as getting rebred. We are not cheating them. With other tubs or blocks, we have found when we got on some of those lesser stalk fields, the cows might inhale the mineral, but they haven’t had issues with overeating the VitaFerm Concept•Aid Protein Tubs,” Jensen said. For a producer who doesn’t pamper his cows with additional feed resources, Jensen knows and appreciates the Amaferm advantage of his VitaFerm mineral products. 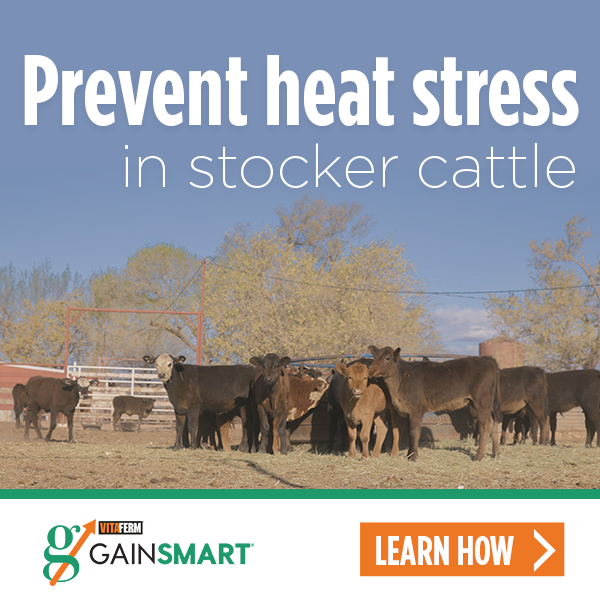 When he has a group of cows on stalks, he knows they are still getting the highest levels of vitamins, minerals and protein, while not overconsuming the mineral. Amaferm is a precision-based prebiotic designed to enhance digestibility by amplifying the nutrient supply for maximum performance. It is research-proven to increase the energy available to the animal resulting in more milk production as well as to the ability to initiate and maintain pregnancy and fertility. The mother cow doesn’t ask for or expect much for producing a calf year after year. If producers can provide her with a high-quality mineral program, a good health protocol and fresh water, she’ll keep producing a healthy calf.